Heritage lace "Floret" 14 inches(35.56cm)wide x 20 inches(50.80cm)long. 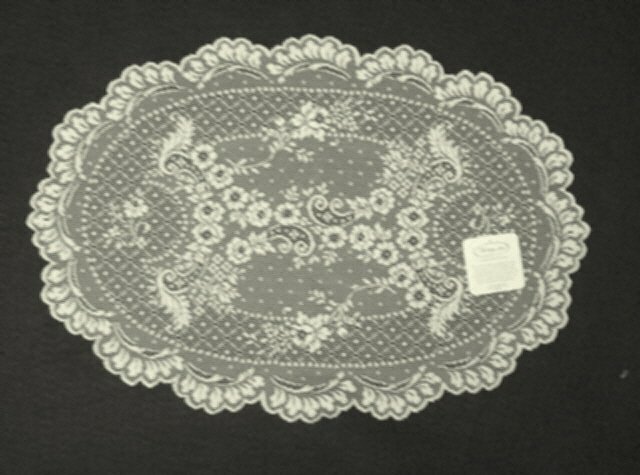 Placemat/doily. Can be used for either. Machine wash and lay flat to dry. Washes beautifully! More of a lighter weight and texture. Has an airy feel. Very elegant!